Sugar free plum marmalade is something I love and it brings back so many memories. It has always been my favorite marmalade, and cooking it without adding refined sugar makes it even better. The natural sweetness and tartness of the plums is just wonderful. Spreading this delight on a piece of toast or combining it with Greek yogurt are just a couple of my favorites for breakfast or as a late snack. 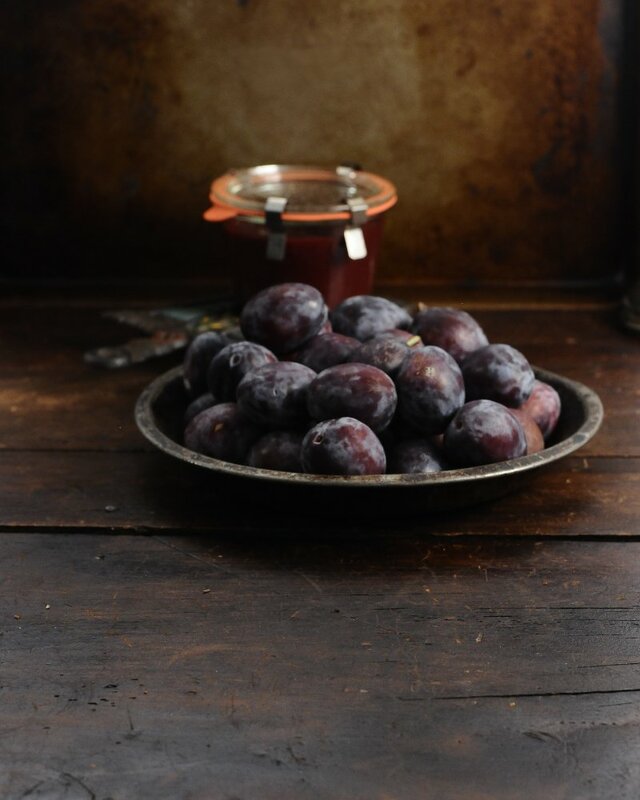 One of the important things with cooking sugar free plum marmalade is to select plums that are “very” ripe. 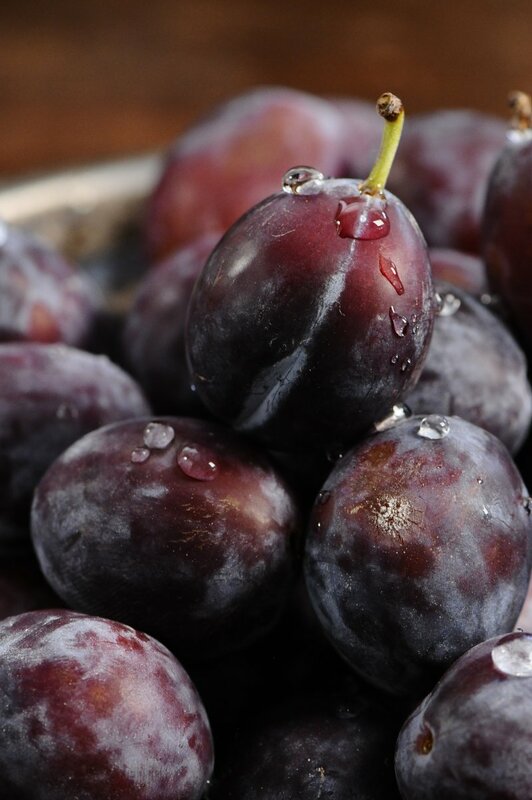 As they ripen, fruits create natural sugars and that is what makes the plums so natural sweet. 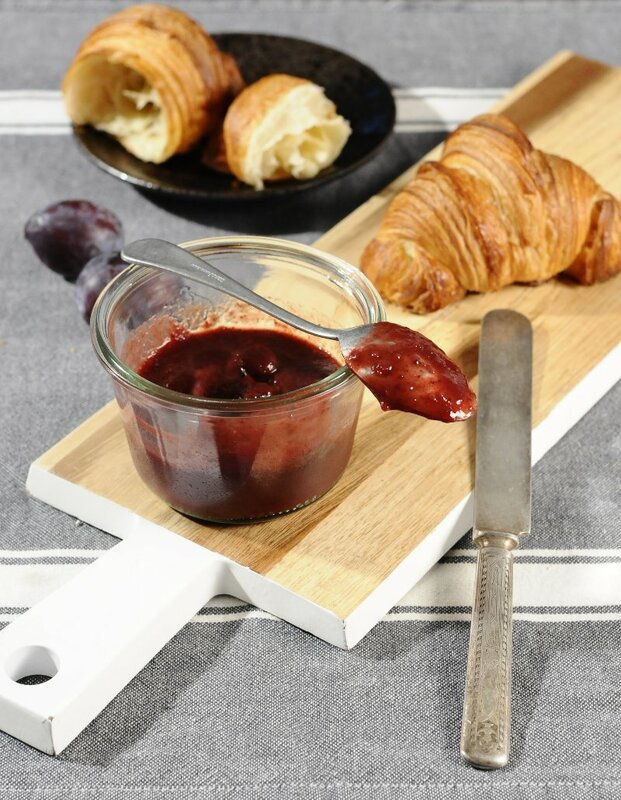 In Germany, in the old times, plum marmalade was cooked slow in a copper kettle over a fire pit for about 5 to 6 hours. Once the kettle showed seven rings, the fire was left to burn down and the marmalade had the right consistency. One of my favorite plum desserts is my perfect Swiss Plum Tart, aka, Zwetgschenwähe. I hate to admit it, I think I’m addicted to Italian plums. This tart is lovely to look at and delicious to eat. It’s truly outstanding, scrumptious, perfect and easily one of my favorite late summer fruit tarts. Unfortunately, Italian plums signal the end of summer. 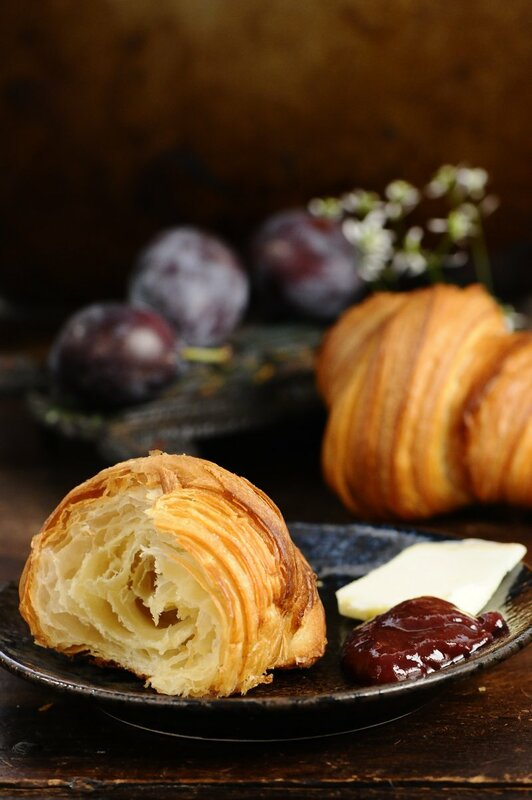 The season begins in mid-July with the sweet Japanese varieties and continues through September with the classic European, Italian plum. Making sugar free plum marmalade is quite simple. I think the biggest challenge is having the patients to wait until Italian plums are in season and to find the sweetest, softest, ripest plums. All fruits contain natural sugar, so I don’t see a reason to add additional granulated sugar to my jam. 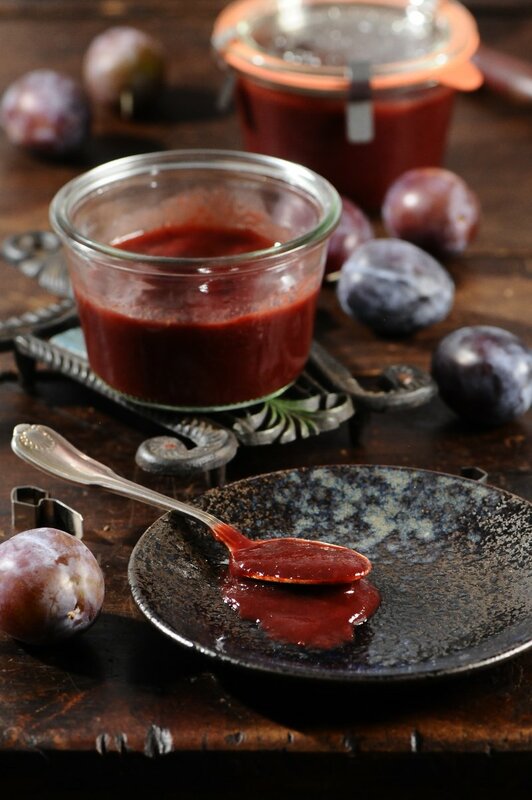 Using the ripest and sweetest plums will do the trick, providing plenty of natural sweetness. To see if a plum is ripe, feel and smell the plum. When ripe, it should give slightly when gently squeezed, be semi-soft and smell sweet and fruity. Adding apples or dried fruits like raisins, while cooking the sugar free plum marmalade, will add plenty of additional natural sweetness. I core the apples but I don’t peel the apples; the skin of the apples contain natural pectin and the natural pectin of apple skin will thicken the marmalade. If possible, use slightly under ripe green apples, they have a high content of natural pectin and work great with cooking sugar free marmalade. Our body needs sugar to function and that’s a fact. Avoiding all types of sugar wlll most likely lead to health problems. However, we should pay attention to what kind of sugar we intake and how much of it. All types of sugar will give us the same amount of calories, whether they are from fruit or soft drinks. However, evidence shows that the health risks from consuming too much refined sugars can lead health issues such as to tooth decay, unhealthy weight gain and risk of diabetics. The health risks are excessive eating of refined sugars, not the sugars that are naturally present in fruits. Foods that pack a naturally sweet flavor such as plums, pineapples, bananas, and sweet potatoes are nutrient-rich and part of a healthy diet. Raw, unrefined sugar actually has some nutrients and this is why foods like honey, brown rice syrup, maple syrup, cane juice, date sugar, fruit and molasses are better for you. The average American now consumes 175 pounds of sugar per year! That breaks down to 46 teaspoons a day! To live a healthier lifestyle, it is best to try and avoid products made with white sugar, corn syrup, high fructose corn syrup, sucrose, dextrose, fructose, and ALL artificial sweeteners. The sugar free plum marmalade, without saying, must go into sterilized jars. There is really one key factor you need to remember to ensure successful canning – Keep everything clean. I like to use weck jars, by far they are my favorite canning jars. Not only are they German and functional, they look good too. To sterilize the rubber canning rings place them in boiling water for 2-3 minutes. Turn off the heat and keep the rings in the hot water until they are needed. Wash jars in a dishwasher or by hand, using detergent and rinsing the jars well. Place jars in a pot, cover with water and bring to a rolling boil. Ladle the hot marmalade into hot sterilized jar, leaving at least a 1/2 inch head space at top of jar. Process your jars for at least 10 minutes in the rolling water bath. Once the jars are finished processing, let them cool by placing jars on a towel, spacing them appropriately to allow air to circulate and letting them cool completely. You want to create a vacum seal. It may take minutes after the jars have been removed from the water or it may take hours for the seal to occur. Once they are totally cool to the touch, you can remove the clips and check your seals. There are two easy ways to ensure you’ve got a good seal. The first is to grab onto the jar holding onto just the lid and lift the jar just a bit. If it holds, it’s good. The other way to check the seal is to look at the tab on the rubber ring. It should be pointing down. 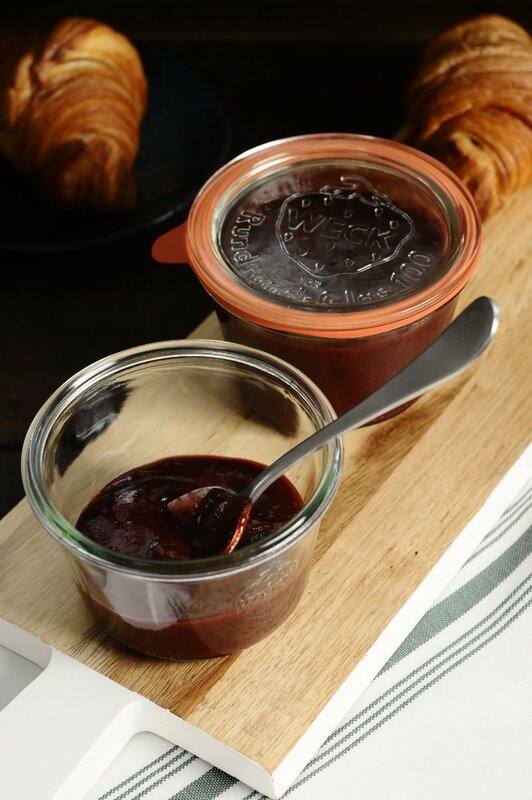 Jars with a good seal can be stored for up to one year, if stored properly in a dark, cool place. Label the jars with the date they were sealed. Each time you open a jar check for spoilage. Look for bubbles or possible mold at the top, this will tell you if any fermentation took place. Over the years of making jams or marmalades, I’ve never lost a jar. However, I still check for any possible spoilage before I consume. When using Weck jars for your marmalade, you should store the containers with the clips off. If something happens to grow inside the jar, the gas that develops will break the seal and you’ll know right away that the product safety has been compromised. I love the flavor, not too sweet, not to tart. 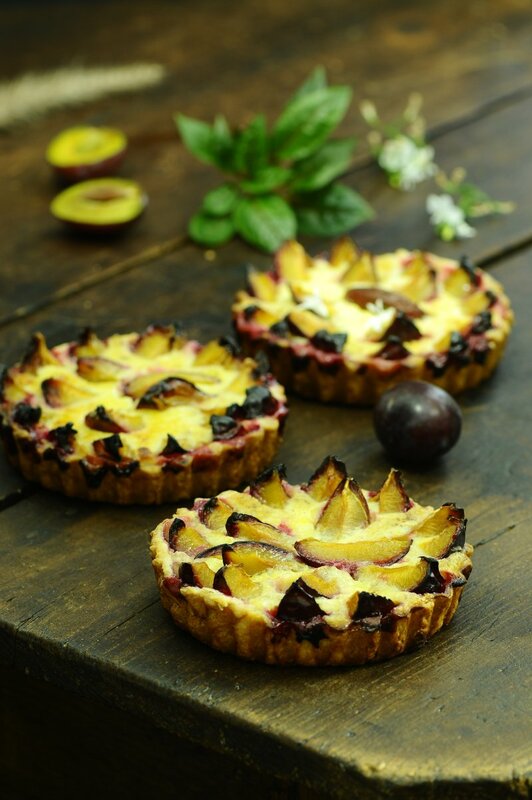 The plums have a tart, natural sweetness without the need of adding refined granulated sugar. Easy to cook, the recipe is all about the fruit. Its success depends on using ripe plums. Jars with a good seal can be stored for up to one year, if stored properly in a dark, cool place. 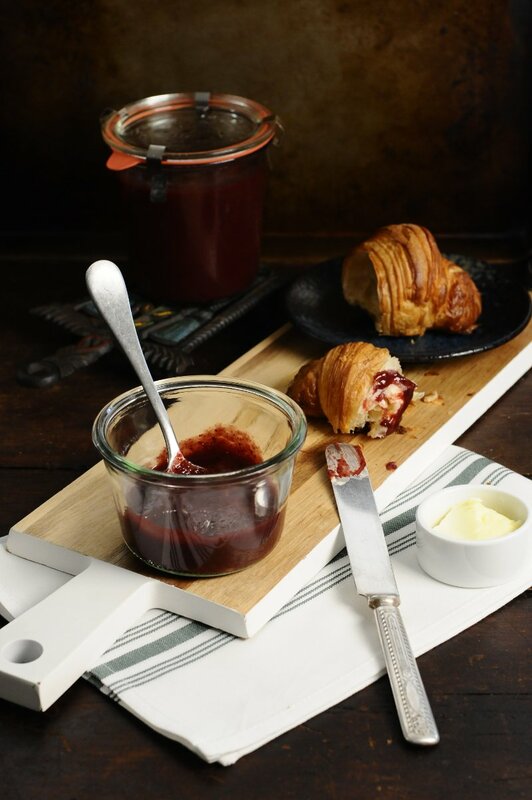 A recipe that displays the art of using simple, basic ingredients and resources well. Unfortunately, Italian plums signal the end of summer. 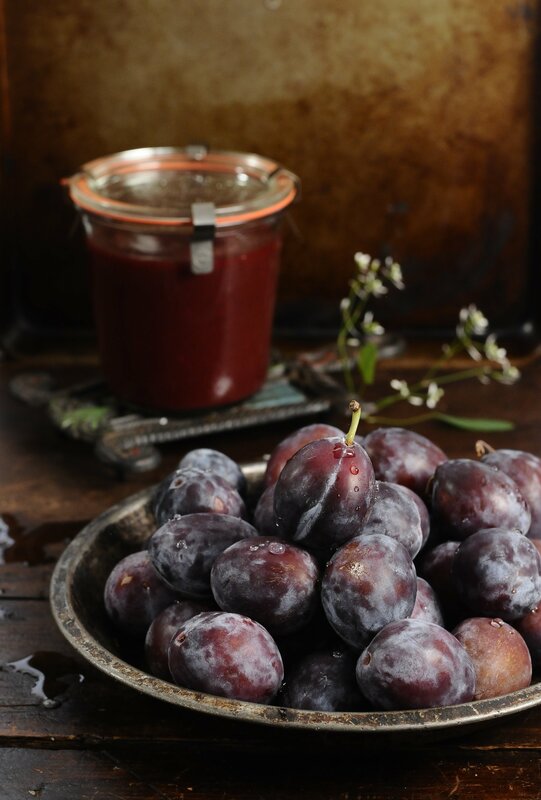 Take advantage of the short plum season, start canning and enjoy sugar free plum marmalade throughout the year. Wash plums, cut in half and remove the seed. Add the plums, 1 teaspoon of cinnamon, 2 tablespoons of honey, lemon juice and dried raisins to a bowl and toss. Wash apples and remove core. Cut the apples (with skin) into 1/2 dice and add to the plums. Add plum mixture to Dutch oven and bring to a quick boil over medium heat, reduce heat to a simmer and slowly cook the plums uncovered for approximately 60 to 70 minutes. 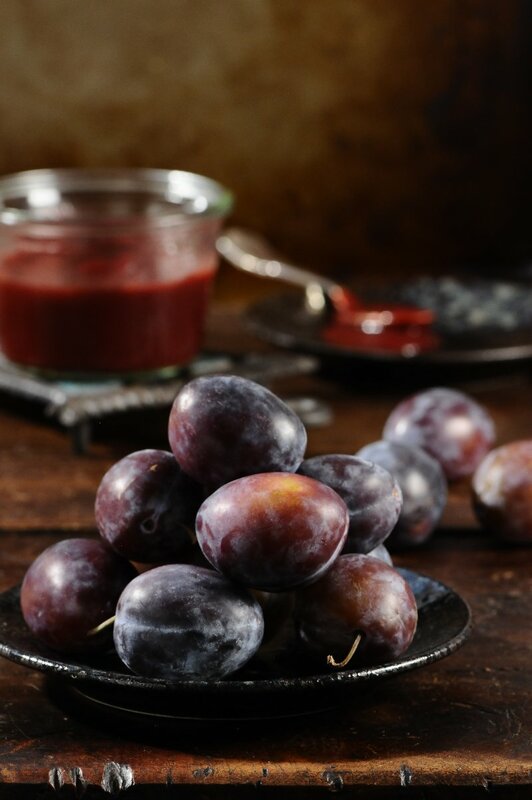 During the cooking process, continue to stir the plums frequently. This helps to remove moisture and thickens the marmalade. One the cooking process is complete, work in batches and ladle the hot plums into a robot cup and blend until smooth. Place pureed plums back in Dutch oven and bring to a short boil. Ladle the hot marmalade into hot sterilized jar, leaving at least a 1/2 inch space at top of jar. With a clean towel wipe the rim clean. Place rubber ring onto the rim of the jars and top with lid. Close the jars by means of spring clamps.